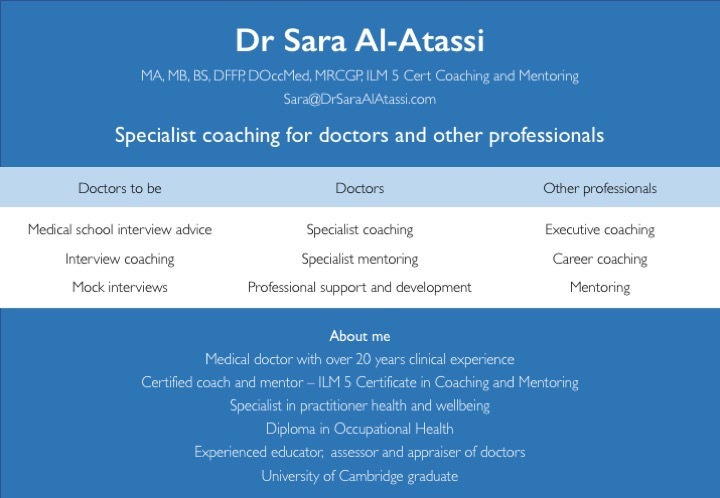 Dr. Sara Al-Atassi is a Medical Doctor providing specialist professional coaching to Medical Doctors of all grades and specialties. 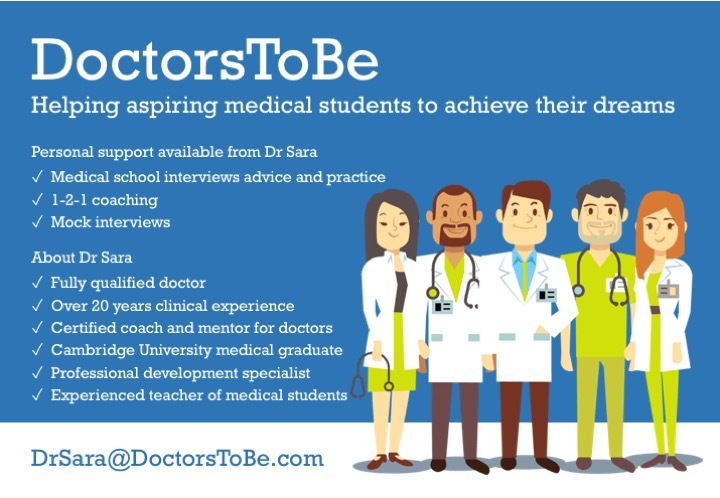 Being both a doctor and a coach gives her a unique understanding of people’s lives, challenges and barriers, whilst empowering them to overcome these, develop their scope and realise their potential. Dr. Sara's specialist clinical interests are in mental health, occupational health, and doctor’s health and wellbeing. Through her work she has seen the transformative power that coaching can have on people’s lives. It is an approach that can help people through difficult times, ill health, life adjustments, feeling "stuck" and transitional phases of their careers. To learn more about Dr.Sara Al-Atassi's experience, just click on her name at the bottom of this page to be directed to her profile.